While campaigning for president, Donald Trump promised to drain the swamp in the U.S. government. That promise resonated with the American people—and was part of the reason he was elected. Again and again, the American people would vote for conservatives who, once elected, would govern as though they were liberals! Our country was ready for a change. I believe God raised up Trump to break that trend. That was the theme of my book God and Donald Trump—as Christians prayed for God to set America on a right course, He chose an imperfect leader, as He has done many times throughout history, to accomplish His purpose. In my latest book, Trump Aftershock, I show how God is continuing to fulfill His purpose for Trump. Since the 2016 election, we have seen one aftershock after another in our nation. These aftershocks are disrupting the status quo and draining the swamp, the latest example of which is appointing another conservative like Brett Kavanaugh to the Supreme Court. I write about this phenomenon in Chapter 1 of my new book. After all, during Donald Trump's long and contentious presidential campaign, perhaps no issue was more consistently or more loudly applauded than his promise to "drain the swamp." Thanks to years of disappointments, defeats and broken promises, the voters understood that their interests had suffered because of interference from powerful forces in Washington working behind the scenes. As a Floridian, I know and understand swamps. There's a 500,000-acre swamp at the end of my street, and bears, coyotes, panthers and alligators come up from that swamp. Also, I've been both a registered Democrat and Republican at different times. Like Ronald Reagan, I didn't leave the Democratic Party; the Democratic Party left me. Yet I'm often uncomfortable with Republicans who campaign as conservatives and govern as liberals. If anything, many Republicans are as much a part of the swamp as anyone else in Washington. Candidate Trump said he understood the public's anxiety and pledged to dislodge the stealth players from their comfortable outposts. It was a smart move; however, no issue may have done more to steel the entrenched resistance against him among the legion of K-Street lawyers, lobbyists and special-interest groups accustomed to privileged access to the seat of power. "Whether or not one supports President Trump," writes James Strock, "the nation has a stake in his success in transforming the way Washington works. This is an area where there is wide agreement outside of the capital." Removing the feeding tube from the swamp dwellers is risky business, but it is one of the most important steps Trump can take to shake up the bureaucratic culture. And it is the most salutary means of deconstructing what Strock calls "the self-sustaining system of politicians, bureaucrats and their supporting cast of lobbyists, journalists, think tank intellectuals and lawyers." The image of the swamp conveys a profound truth about the American economy. ... One important factor is the capture of the American political system by powerful insiders—big businesses, elite professionals, wealthy homeowners—that use it to entrench their own economic power. In so doing, they protect themselves from competition, fatten their bank accounts with diverted wealth and slow the creative destruction that drives economic growth. The image these writers evoke is not far from the truth. Even before Trump's January 2018 State of the Union Address, his administration had waded into the swamp and begun the cleanup process, fully embracing 64 percent of the agenda items proposed by the conservative Heritage Foundation for changing the way Washington works. Pulling America out of the Paris Agreement on climate change turned out to be a major public relations victory for the president, sending a warning salvo across the bow of Washington, D.C.'s entrenched climate-change lobby and earning plaudits from his anti-globalist base. Ending Obama-era regulations on net neutrality was another. Then proposing and passing a once-in-a-generation tax reform package—over the objections of legislators from both parties—was an important sequel leading to, contrary to some media warnings, higher take-home pay and bonuses for American workers. Using the provisions of the Congressional Review Act, the administration worked with Congress to eliminate 14 regulations adopted in the waning days of the Obama administration. The president made it clear he intended to wage war on overregulation and began by lifting Obama's moratorium on coal leases on federal lands. He then instructed all executive branch agencies to review all new rules, with the goal of eliminating two regulations for every new one. By year's end, the administration had withdrawn, delayed or made inactive 1500 proposed regulations, saving more than $8 billion in lifetime net regulatory costs, with the promise of increasing savings to $9.8 billion with regulatory cost-cutting in 2018. Another priority of President Trump's agenda is the nomination and confirmation of conservative constitutionalist judges, perhaps best illustrated by the appointments of Justice Neil Gorsuch and Brett Kavanaugh to the United States Supreme Court. Trump also appointed and gained confirmation for 12 circuit court of appeals judges before the end of his first year in office. This was the largest number of appellate judges confirmed during the first year of any American president. However, the challenge would become more complicated the following year, as more than 90 of the president's appointments were blocked in the Senate. Nominating and confirming strict constitutionalists to the federal bench, as the Trump team has repeatedly pointed out, is an important step in reducing bureaucratic entanglements since most federal cases are settled at the appellate level. As many as 8,000 cases are filed before the Supreme Court each year, which is far more than any court can consider. Plenary review with oral arguments by attorneys for both sides is granted in about 80 cases each term, and as many as 100 cases may be disposed of without plenary review. Only one of every 700 cases heard by the appellate courts will find its way to the Supreme Court, so reducing the number of activist judges, eliminating needless bureaucracy and resolving disputes at the earliest possible level is a victory for the rule of law. And by God's grace, we will see an increase in this kind of victory in the Supreme Court. I encourage you to read more about this topic in Trump Aftershock, which releases on Election Day, Nov. 6. I think you'll enjoy the book's unashamed Christian perspective along with its journalistic integrity. Dr. Ron Phillips, pastor emeritus of Abba's House in Chattanooga, Tennessee, read the book and had this to say about it: "Stephen Strang has written the definitive narrative of the explosive beginnings of Donald Trump's presidency. Here is the undeniable record of the president who, in spite of his critics, has kept his promises to America. Stephen Strang's journalistic expertise and absolute devotion to accuracy makes this page-turner a must for every citizen. I especially commend it as well to thinking people who may lean left. This book sets the record straight. Finally, Christ-followers and the church are challenged not to abandon the public square. Get this book and arm yourself with the weapon of truth." Pre-order your own copy today at trumpaftershock.com or on Amazon. 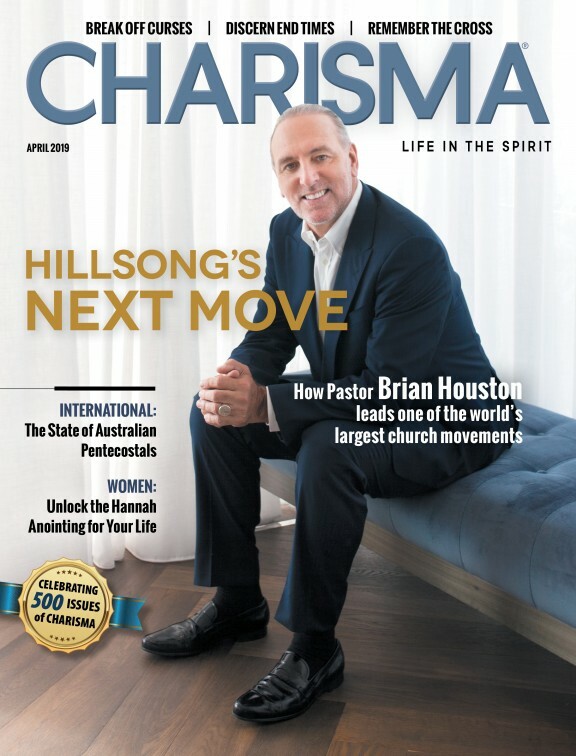 If you buy the book at trumpaftershock.com, Charisma Media will also give you several free products, including a PDF of the first three chapters, a Trump Aftershock e-book, a God and Donald Trump e-book, and a subscription to Charisma magazine. Because Trump Aftershock tells the positive story of Trump's accomplishments that the mainstream media don't want to tell, I believe this book has the potential to impact our culture. Early signs indicate that the book will sell very well, but with your help, we can do even better. Share this article on your social media to spread the word about Trump Aftershock and listen to my podcast below for more information!